Whilst Watford and Manchester City secured their positions in May's FA Cup Final over the weekend, one group of Irish lads in London are gearing up for a FA cup final of their own. Nine years ago, in the midst of the financial recession, a "langer" of Corkmen (because what other collective term is there for a group of wild boys from Cork) descended on London, as Ireland sons and daughters sought to find a better life for themselves in foreign lands. Thankfully, the intervening time has seen the flow from our shores stemmed with opportunities more plentiful at home and some of those UCC lads found their way home eventually. Others stayed and with the displaced, there stayed a legacy. A monument to those wild boys at the start of their adult lives. Nine years ago, UCC Diaspora FC was born. It was the brainchild of Cork man Jack O'Connell, now an owner of a construction agency in the English capital. Like most great ideas, it was formed on the high stool, where he bounced the idea of uni-mate Paul Williamson when the lads first found themselves in the city over a decade ago. "We played at UCC together", begins Paul, whose role, by his own admission, is more chairman than player these days. "We went for a drink one day when I moved over and he said to me, I've got this group of lads, they were called Wandsworth Celtic. They were a group of Irish lads and they were getting a bit older and the club was starting to disband, so a plan was hatched to come together". Come together they did. The former Celtics came on board and a new club was formed. From those humble beginnings, the club quickly paved a path to better things. They strolled to league success in their inaugural season and such was the interest in that first year, the club was able to field two competitive sides. In time numbers grew and at their height, UCC Diaspora had enough bodies to have a thirds side, never once having to advertise for players. Housemates, friends of friends and the odd Facebook message from an Irish lad looking to find a soccer club saw the lads become an institution for the Irish in the south of the city. It's most definitely been a case of north men, south men, comrades all. Men from Armagh, from Galway and a whole heap of Dubs, have passed through. Waterford man and former League of Ireland player Gavin Falconer tops the side's scoring charts for this season having bagged 25 goals, including this peno. centre-half Fergal Cusack is one of the Dub contingent. Having arrived in the London seven years ago, the club proved "the highlight" of his time abroad. The job I was in, I got through a lad at the club. The friendships I've built in London are all through the club. London can be...not a lonely place, but it can be tough at times. You have training on a Wednesday, two hours good craic. But Saturday's after the match you go for pints. It gets you out and makes you feel part of something. Having moved home recently, Fergal will anxiously wait by his phone in Castleknock this Friday night, waiting for word on whether or not his mates have summited one particular mountain they have yet to scale. The London FA Junior Cup has been contested since 1887. It's one of English football's oldest competitions and has seen teams such as Barnet and Kingstonian reach finals without taking the title. In 2016, UCC Diaspora added themselves to that particular list, going down narrowly to FC Hamlets in the final. But now, the Wimbledon & District Football League Premier Division side have the chance for redemption, as they take on Kent side HFSP & Ten-Em-Bee FC at the War Memorial Sports Ground, the home of Isthmian League side Carshalton Athletic. 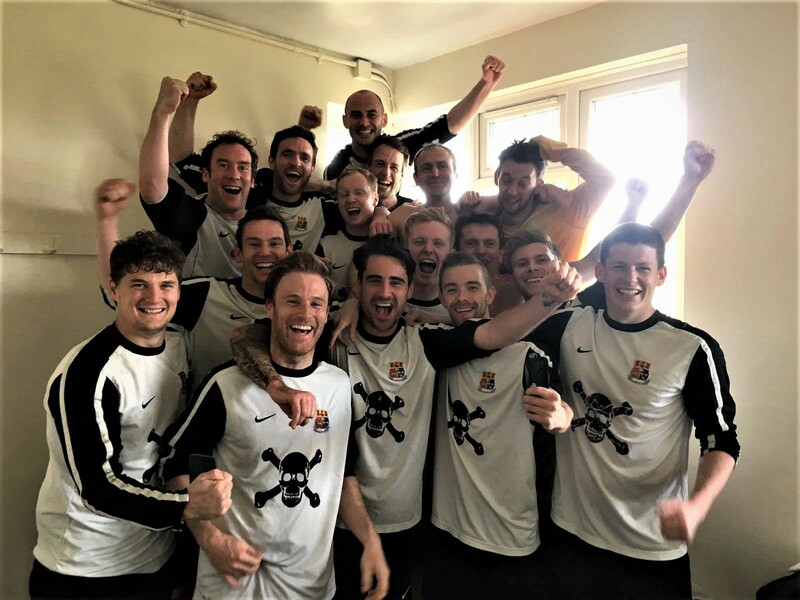 Having received a bye in the first round, the lads made light work of Earlsfield United in Round 2, before coming out the other end of an eleven goal thriller with Long Lane in a game Fergal describes as the "craziest game of football you've ever seen". Their fourth-round tie brought them face to face with their adversaries from the 2016 finale but that particular demon was exorcised with a 2-1 win, before dispatching Kent side Club Langley in the quarter-final. That victory set up a meeting with Battersea Boys and after an early penalty save from English born goalie Luke Barrett, the UCC boys went on to win 2-0. In recent months, they've added to their ranks - their latest recruit one of the more exciting to pull on the red and white jersey in its time. 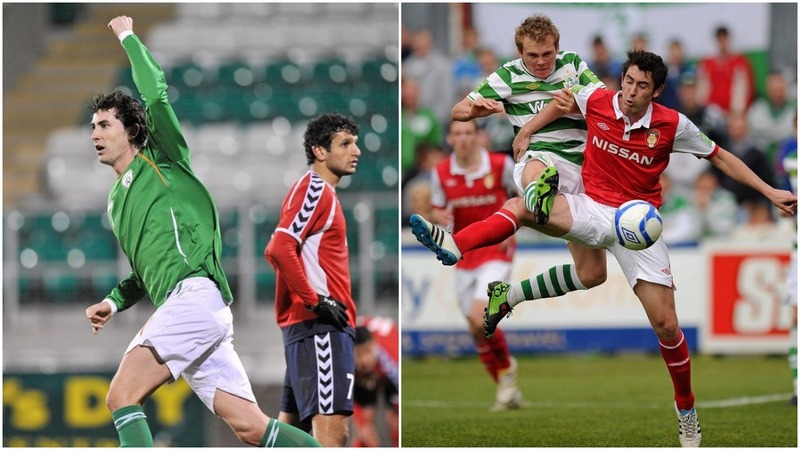 Former Irish U21 international Ian Daly has had a football career a little less ordinary. The teenage Daly won a FA Youth Cup with Manchester City in 2008 in a team that included Ben Mee, Kieran Trippier and Daniel Sturridge, before embarking on his own whistle-stop tour of European clubs less travelled by Home Farm products, when signing his first professional papers the following year. Having spent a season under the tutelage of Argentine managerial legend Hector Cuper at Greek side Aris, he had a short stint at Spanish Segunda Division outfit Cadiz, before signing on with St Pat's for a season in 2011. After deciding to stretch his wings outside of the game, the Ballinteer man first crossed the Irish Sea to study for a career in advertising in 2012. Turning out for non-league sides Bromley, Dulwich Hamlet and Cray Wanderers whilst hitting the books, Daly the turned his back on the game in 2014 before a move across the river to South London aligned well with what UCC Diaspora had to offer. A mate of mine knew Gav Falconer and that's how I first came to hear of the club. Given that I'd moved to the locality and that I'd started to miss football and playing games with a group of lads - it was the perfect fit. That was the start of this year and it's been brilliant since. I've played with plenty of people during my career, and don't get me wrong I get on with lads from all over the place, but playing with these lads brings you back to what it was like to play back home. A lot of people are in that position of maybe being here for work and having that passion for football. Playing in games with Irish lads definitely gives you that much more of a team spirit, for sure. The Dubliner, who hasn't featured in the run to the Cup final due to ineligibility, has now played the required number of fixtures to be available to management for Friday night's showdown - but it's by no means a sure thing he will play. "The standard is really good. We are going well in the league and in two cup finals, so I'm enjoying it. I wouldn't be here if it wasn't." 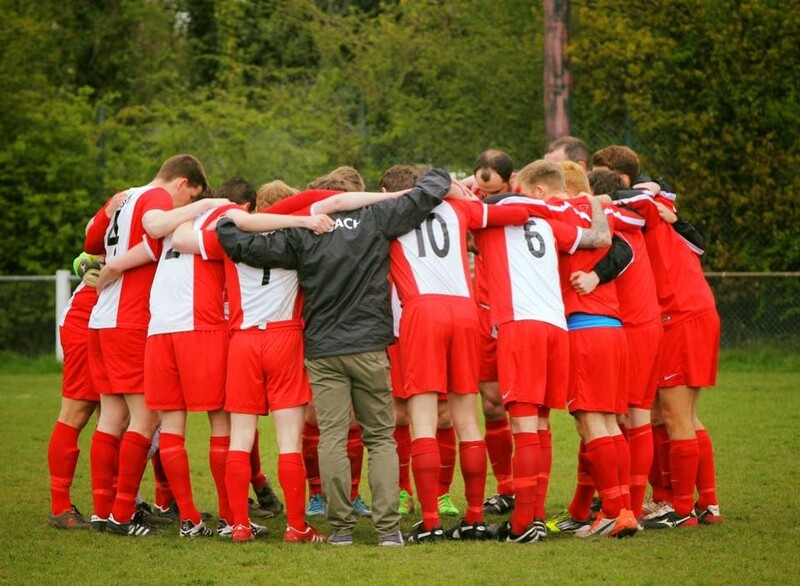 Win, lose or draw on Friday night, the UCC boys have little intention of fading from the London footballing map any time soon, with chairman Williamson hopeful that the groundwork that he and those other forefathers put in can see the side last far beyond the last of their playing days. We are trying to keep that connection with UCC alive. 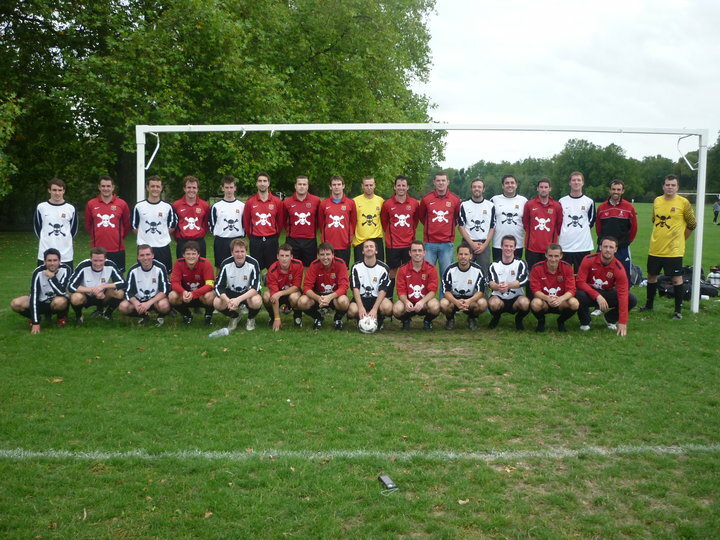 We go back every February to play in an alumni match during colours weekend. I hope from that we can keep getting new graduates - we have a new lads this year that have just moved over. So that's the future of the club - trying to get new Irish lads in who are in London and wanting to have a laugh, make pals and play to a decent standard. *UCC Diaspora will face HFSP & Ten-Em-Bee FC in the London Junior Cup Final this Friday night at the home of Carshalton Athletic FC, the War Memorial Sports Ground, at Colston Avenue in Sutton, SM5 2PW. Tickets can be bought online for the match at a discount price by clicking here, however cash entry will be available at the gate.